BioProfDude on Mono-Black 20 Relentless Rats! marcello627, thank you for the suggestions! I have found Victim of the night to occasionally not be able to target creatures, so I prefer Grasp of Darkness as it kills a significantly high proportion of threats with significant efficiency, and Echoing Decay is used far more that I had expected to kill two or more targets. Way more than I expected, to be honest. I think both have performed well. Cower in Fear is absolutely worth the sideboard card spot. That card is GREAT against so many decks. Another Gray Merchant of Asphodel is fine, but I'll stick with 3. It definitely swings games wildly. I don't know, 3x just seems like a good fit for now. I like Barren Moor quite a bit, but I think 2x is enough (currently have 1x and have been toying with 2x). There is an element of speed needed for this deck, and tapped lands aren't helpful. 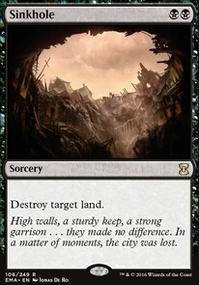 Barren Moor is definitely a useful card, so I'll definitely be tinkering with that one. Sign in Blood is really good; I just haven't needed it and prefer to stick with the removal instead. Personal preference based on play with this so far. That's another card that may make it eventually. At this point, I haven't needed the extra cards. I prefer to keep the creatures and removal higher for now. Still, 2 cards for the casting of a single card is pretty efficient, so it's definitely a card on my radar. I tried Unearth and found the removal was better to have. Dead Weight is extremely underrated! 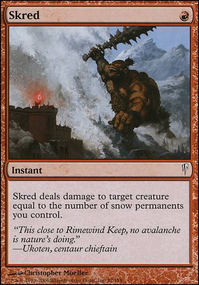 That card is amazing for slowing down Gurmag Angler , killing faeries, killing delvers, slowing down other threats, AND it is a permanent (if it didn't kill the target) that helps with devotion. I like Chainer's Edict a lot, but in this case (because of devotion) dead weight synergizes a bit better. Mostly, I think it's because Chainer's Edict isn't great right now, so it's down. 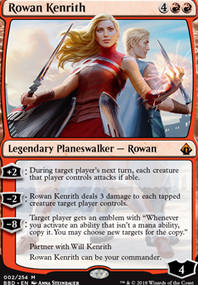 Bogles doesn't need as many threats, and Ledgewalker is just the highest CMC one, so it gets cut first. Flooremoji yeah definitely. Having Annul would have also been helpful since my opponent wisely played around Daze the entire game. So just having Annul in would have been a help regardless. That deck also runs the creature with protection from mono-colored, Guardian of the Guildpact . So the combination of Annul and Chainer's Edict will help me tremendously in that match up since if it resolves I have no way to interact with it in the maindeck. i dont think you can friend others in this site. since is a mono black you would want to add a set of Dark Ritual for ramp and be able to play something like Geralf's Messenger / Ammit Eternal turn 1 or turn 2 Phyrexian Obliterator / Abyssal Persecutor / Desecration Demon . you should add a set of discards spells like Duress / Thoughtseize / Hymn to Tourach its a really nice turn 2 play, for draw spell either Sign in Blood or Night's Whisper are good. for board wipes Toxic Deluge or Damnation 1-2 is okay plus the Doom Blade / Fatal Push and maybe Chainer's Edict / Geth's Verdict . i will add to the suggested cards the budget ones. Ooh, a Last Rites / Delirium Skeins list. I have been working on one of those for a while, and I like this a lot! Dark Ritual , and more of Chainer's Edict s become really strong in that style of mass-discard, so I'd greatly recommend them! Hi guys, i'm an old school MtG player who got on MTGO for the first time 4 days ago. I've only played Mono Black in a casual format until now, so i'm not an expert. I've got more losses than wins (probably mostly due to the fact the i'm new to this type of deck) but i'm wondering if you guys have some tips for maximize my chances to win consedering the actual meta in pauper. I'm not playing in tournaments right now. I'VE GOT A BUDGET OF 5 TIX TO SPEND FOR THE POWER UPS!